Amid the growing arms race between the US and China to dominate the burgeoning field of artificial intelligence (AI), it is industry players and markets that will really drive adoption of the technology, according to a senior Gartner analyst. 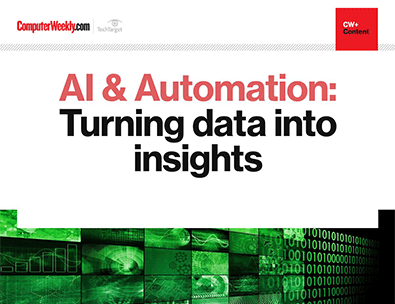 With advancements in image recognition, data mining & machine learning, organisations are now able to analyse massive amounts of data like never before. Discover why Asia is a leading adopter in this field and take a look at the key AI initiatives being rolled out across the region. Bern Elliot, vice-president and distinguished analyst at Gartner, says while he expects to see “continued parity” in AI research undertaken by research institutions in the US and China, the work of webscale players such as Alibaba, Tencent, Baidu, Amazon, Facebook and Google will determine how pervasive the technology will be. Elliot notes that governments which have set national AI agendas, especially in emerging countries, have also spurred AI adoption – though some of that may be because leaders have claimed to be using AI in surveys that reflect opinions, not facts. Despite the hype around AI, adoption of the technology is still nascent. A Gartner survey of global CIOs revealed that just 4% of organisations have AI projects in place, while 46% are planning to roll out projects over the next two years. Elliot advises CIOs who are just getting started on AI to invest in application platforms – such as H2O.ai and Salesforce.com – with built-in AI capabilities that can be readily consumed by business users. At the same time, as they build up their AI skills, they can get started on using AI tools from the likes of Google to build their own AI models or algorithms. Where CIOs choose to invest in the AI value chain – from AI research to tools and platforms – would depend on their business objectives, risk appetite and AI skills. For example, investing more in research could produce more strategic advantage, but also comes with greater risk. Elliot likens the AI value chain to that of the steel industry, where iron ore is mined before it can be turned into steel and eventually into steel products. “It’s important for CIOs to understand that they don’t need to do all of AI to get value out of AI, just like you don’t have to mine iron to manufacture steel components,” he says.